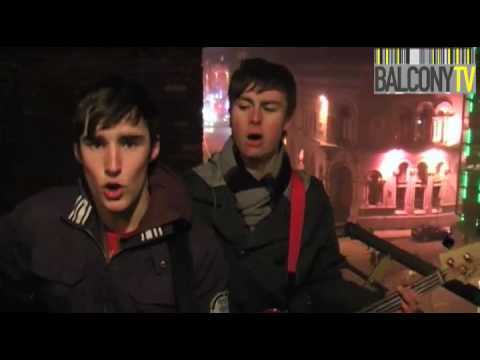 The Rumour were formed in the summer of 2008 after the break up of a previous band Joe and Cillian had been a part of. The Rumour was originally an acoustic duo writing simple yet thoughtful songs. This method of songwriting formed the foundations for which the bands sound would be based around. Simple, catchy music with reflective lyrics. Joe and Cillian continued for a year writing music, recording some of these and uploading them on YouTube to a good response. Seeing an opportunity to expand, they decided to look for new members. The first came in the form of MD (Michael-David). He added a unique dimension to the band with soft and rhythmic piano and, later on, catchy synthesizer riffs. After countless difficulties in finding the right drummer, the ever reliable Jordan was coaxed into joining and thus completing The Rumour. During the year length period between MD joining and Jordan being recruited, the three lads played some gigs and developed as a band musically. Some of the gigs were as low a profile as the lads would care to remember but others were as high as they've come to play so far. The highlight of these was their support slot to Irish success story, The Blizzards. After this gig the band decided to put more commitment towards writing and gigging. 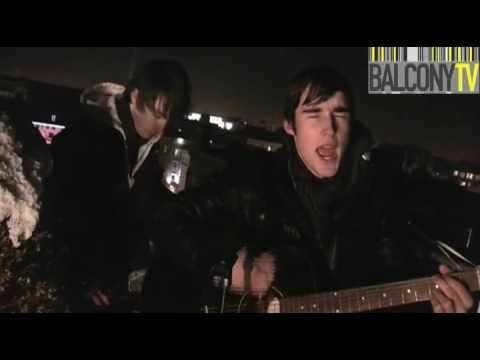 In the months that followed, the band took their time so as not to rush anything but after a few months decided to go into the studio to record Elegantly Wasted and another of their originals, Chivalry (Is Dead). These tracks were initially to be recorded as a debut EP that would be sold at gigs. However, after taking advice from Michael McKernan, who had previously released a charted single, the group choose to release Elegantly Wasted as a single available for download on iTunes. Chivalry (Is Dead) would be the B-Side to this single. Michael McKernan was officially appointed band manager at this point. In the months following this appointment the band would become bigger than ever expected. To this day Michael remains as the driving force behind The Rumour and in their first interview in Hot Press the band stated their best career move was having Michael as their manager. 1,000 copies were printed of the physical single and it was released on 20th August 2010 on iTunes. Smashing expectations, the single reached #26 on the Irish iTunes store charts and #2 on the iTunes Rock charts. This prompted many in the Irish music scene to stand up and take notice and Elegantly Wasted was reviewed in Hot Press, "I've always felt a sneaky pang of respect for any band with the gall to incorporate their own name into their lyrics (Tokyo Police Club, Wilco, MC Hammer etc. etc.) and it seems with The Rumour, I've struck gold again. 'Elegantly Wasted' is a happily theatrical dose of rockabilly from the Dublin outfit, and boasts a chorus that'll stay with you for days." Around the time of release, the single was well promoted with headline gigs around the capital. Whelans was first on the bill and the lads were delighted to play one their personally favorite venues. Over the next month gigs in venues such as the brand new Captains Live Blanchardstown, The Hard Rock Café Dublin and a slot on Arthurs Day were played. The result of these gigs going well and the bands fan base growing hugely, the decision was made to continue momentum and record their debut album. During their interview on Dublin's Radio Nova, the plans to record the album were announced (amongst other things). After this, having been working for 3 months constantly, the band took a month off for a creative period with the intention of having decided the material that would be used on the album. The Rumour announced their intentions to release their debut album, Hurricane, at an all-ages gig at Dublin's Academy 2. Hurricane was released digitally and, exclusively, in Tower Records on 30th April 2011 with plans being put in place to tour in the summer of 2011 with the album.